Do you have experience supporting young children with additional needs? Are you looking for your next challenge? My school is shouting out for you. A partner school in Birmingham is looking to appoint an experienced Teaching Assistant who has worked with children with additional needs such as Autism. Ideally have experience in an SEND environment. Be enthusiastic, fun, observant and have good concentration levels. If you are interested in this role, please complete the below application form with an up to date version of your CV or call now on 02476 463555. If this job isn’t quite what you are looking for but are looking for a new position, please do contact us as we have lots of exciting opportunities available nationwide. 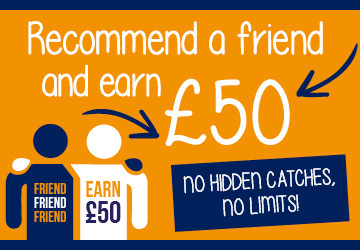 Make the most of our Recommendation Bonus Scheme. Simply email RAF@justteachers.co.uk with the name and contact details of the teacher you wish to recommend together with your name and we will send you £50!